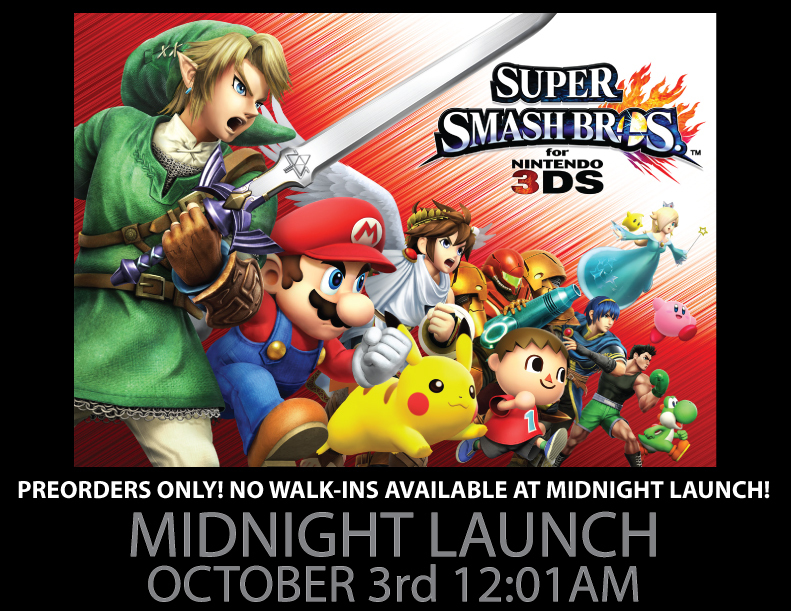 Super Smash Bros. 3DS Midnight Launch Confirmed! Our stores will be closing at 9:00pm on Oct 2nd and reopening at 12:01am on Oct 3rd for the release of Super Smash Bros. 3DS! Some unfortunate news for our Super Smash Bros. 3DS Midnight Launch this evening. Due to our shipment being delayed ONLY PREORDERED COPIES are available for pick-up tonight. 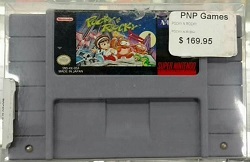 THERE WILL BE NO WALK-IN COPIES AVAILABLE. We will have more stock tomorrow morning for anyone without a preorder!